The new Fedena 3.1.1 comes with some important updates in the internal messaging system. 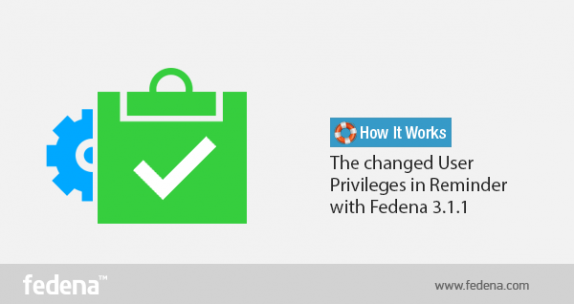 In keeping with the varying requirements of educational institutions, Fedena 3.1.1 is now available with some changes in the user privileges in reminder. Read the article and know the scenarios for which the changes have been made. In the earlier version of Fedena, parents of students were not a part of the internal messaging system. The new updated Fedena 3.1.1 now allows parents to be a part of it. Parents can now view and send messages or reminders to their children and the teachers or tutors associated with their children and their respective classes. Earlier version of Fedena allowed students to send messages to students and teachers from different batches and courses which was mostly not required for. With the new Fedena 3.1.1, students can now view and send reminders to teachers who are associated with their batch and also to classmates as well. Plus, they can do the same with their own parents. Unlike the earlier version, employees are now divided into normal employees and teacher/tutor. In the case of normal employees, they can view and send reminders or messages to other staffs in the institution and also to students. But they are not allowed to do the same with parents. In case of teacher/tutor, the teacher can view or send messages or reminders to other staffs in the institution, students and parents of the students they are associated with.